Munich - The song remains the same. A narrow 1-0 victory away to an 1899 Hoffenheim side battling tooth-and-nail to avoid the drop saw FC Bayern Munich maintain their 17-point lead at the top of the Bundesliga standings with just ten games of the 2012/13 campaign remaining. It was far from vintage from the runaway leaders, as head coach Jupp Heynckes readily acknowledged, but, "you get three points for those ones as well". On the subject of points: Bayern's current tally of 63 was actually enough for them to claw the title away from FC Schalke 04 in dramatic fashion back in 2001. 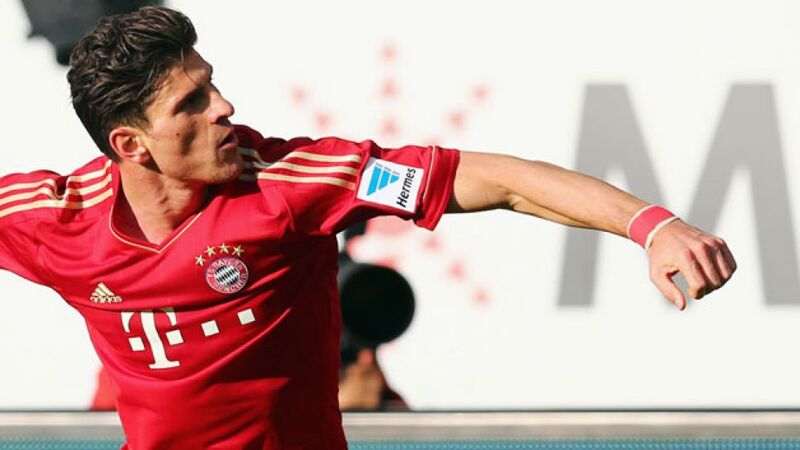 Their tenth straight win in all competitions came courtesy of Mario Gomez's 38th-minute strike. The Germany frontman's 133rd Bundesliga goal took him up to 18th place on the all-time top-flight scoring chart alongside Giovane Elber - another former Stuttgart icon who switched to Bayern with equal success. At Hoffenheim's WIRSOL Rhein-Neckar Arena, however, it was the visitors' defence which really took centre stage. Heynckes' troops went into the encounter having leaked just one away goal all season and in the 72nd minute they duly surpassed yet another Bundesliga milestone - 1. FC Köln's 565 minutes without conceding on the road (in 2009/10). Lending the occasion an added twist was the fact that Bayern's man between the posts on the day was Tom Starke, making his first appearance of the season against the very side whose first-team keeper he was from 2010 until last summer. In truth, his pre-season departure for the Bavarian capital was not entirely voluntary, with 1899 releasing him from his contract after signing Tim Wiese from SV Werder Bremen. Starke, who turns 32 in a couple of weeks' time, does not dwell on the details of his departure, saying only that he "had two great years at Hoffenheim", instead offering a word of thanks for the man he was signed to understudy, Manuel Neuer. The Germany No1 accepted a place on the bench for the game at Starke's old stomping ground. "The coach hinted on Thursday that he was thinking of playing me," said Starke. "Obviously, I was thrilled." And so it fell to him to see Bayern through to their next league record, or records, as away win No11 also equals the Bundesliga's previous campaign top-mark. The one time he was seriously tested, by Stefan Schröck's powerful 67th-minute drive, Starke demonstrated why he is a keeper that many a club would be happy to have in their regular starting line-up. "Tom earned that appearance," said coach Heynckes. "He always gives it everything in training and he's got even better since joining us." Starke fully accepts he will now have to step back out of the limelight as Neuer takes up his duties again - but the prospect of finally getting his hands on some serious silverware as a highly-valued FC Bayern squad member will doubtless be of no little consolation.